Gone are the days of the silent CEO. 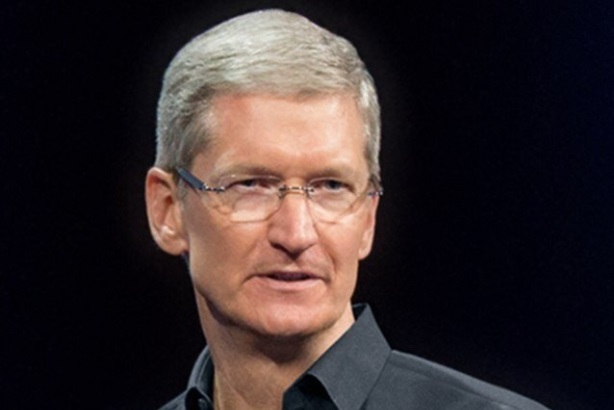 Apple CEO Tim Cook spoke out against 'religious freedom' laws. Gone are the days of the silent CEO. Today, more C-suite executives than ever are voicing their opinions on political and ethical issues, and while it may seem risky, it can be a smart, effective way to give consumers a behind-the-scenes look at a brand’s values. Over the last few weeks, a number of company leaders have taken a stance against the religious freedom bills signed by the governors of Indiana and Arkansas. The bills, critics said, could have paved the way for businesses to legally refuse services to members of the LGBT community. One of the first execs to get involved was Jeremy Stoppelman, cofounder and CEO of Yelp, who posted a blog entitled An Open Letter to States Considering Imposing Discrimination Laws on the company’s site on March 26. He then retweeted several posts opposing the bill made by Apple CEO Tim Cook. One tweet said, "Apple is open for everyone. We are deeply disappointed in Indiana's new law and calling on Arkansas Gov. to veto the similar #HB1228." Salesforce CEO Marc Benioff also stepped into the fold that day, announcing his company’s plans on Twitter to cancel "all programs that require our customers/employees to travel to Indiana to face discrimination." Bentonville, Arkansas-based Walmart, which may not always be thought of as the most progressive company, posted a tweet last week on its newsroom Twitter page from its CEO, Doug McMillon. The tweet said the bill "threatens to undermine the spirit of inclusion present throughout the state of Arkansas and does not reflect the values we proudly uphold." Shortly after the widely heard criticism from Walmart and other companies, the governors of Indiana and Arkansas signed fixes for the bills in each state to ensure businesses could not discriminate against LGBT individuals. The power of each chief exec in helping drive change is unmistakable – Walmart’s tweet from its CEO was favorited 1,100 times and retweeted by 1,400 people. Even more remarkable, Tim Cook’s above-mentioned post on Twitter was favorited by 17,000 people and retweeted 15,000 times. Consumers are watching and care more than ever about what executives behind the brands they love are doing and saying. Recent studies have shown time and time again that consumers want to do business with brands that share their beliefs and values. This is not to say companies need jump on every issue – it should be something an executive believes strongly in and wants reflected in its brand’s ethos. Starbucks CEO Howard Schultz is a good example of a business leader who has consistently taken a stance on hot-button topics, such as gay marriage, gun laws, and education. While the coffee behemoth’s recent foray into race relations may not have been as well-received as it had wanted, Schultz still admirably stood by his passion for wanting Starbucks to "stimulate conversation, compassion, and action around race in America." Executives who dive into a controversial issue also have to be ready for pushback from people who disagree. But if business leaders begin a conversation – especially on a social channel – they need to be ready to continue it, unless, of course, they feel threatened or in danger from any responses. Corey duBrowa, SVP of global communications and international public affairs for Starbucks, deactivated his Twitter account due to a deluge of negative posts aimed at his handle. He rejoined the social network the following day. As consumers continue to crave transparency and engagement from brands and their leaders, executives should consider being less guarded on ethical and political matters: There is a big potential upside in the greater loyalty and stronger relationships with consumers that can result if it is done right.